One of the electricity companies that is on everyone’s lips. Residential electricity plans with fixed rate or free nights plans. Amigo Energy has established itself as one of the most talked about companies in Texas. The customer service is exceptional, the energy rates are fair, and it is very easy to qualify without the need to pay large deposits. Most of our customers call us asking for Amigo Energy, and although we work with other companies, if the client wants Amigo Energy, we offer Amigo Energy. There are times we sacrifice a little to get the best possible. Amigo Energy makes this possible. Although there are other residential electricity companies with better or lower rates, Amigo Energy does everything possible to have the complete satisfaction of its customers. How to obtain residential electricity with Amigo Energy. Keep in mind that, for all electricity plans with monthly billing or contract, ALL energy companies will ask you to verify your credit, that is where Amigo Energy helps and helps a lot. ITIN; That’s right, the ITIN is your identification number to make the tax returns and if we make good use of this number, you can generate credit. Here’s the advantage, Amigo Energy can relate this ITIN number to your credit history and let me tell you we’ve had a lot of luck with this. Many customers qualify without having to pay a deposit when checking the credit with the ITIN. 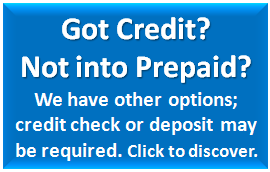 Unlike other energy companies only seek for excellent credit customers. In addition to offering residential electricity with Amigo Energy, Electricity Express can help you lower your energy consumption in your home and thus pay less in your electricity bill. Amigo Energy & Electricity Express Texas, making the difference.